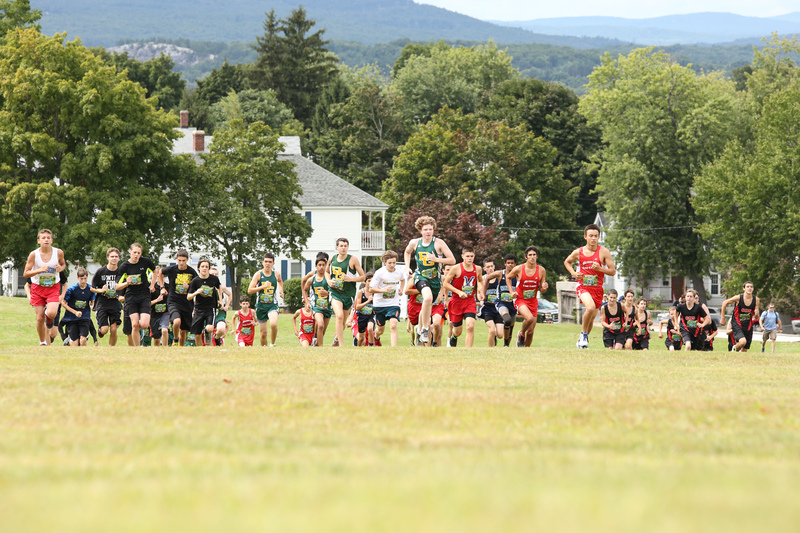 Cross country was in full swing at the NH-XC Festival on August 23rd at Derryfield Park. The race was a production of Millenium Running, headed by John M ortimer, previous course record holder on the famed Derryfield Park course. 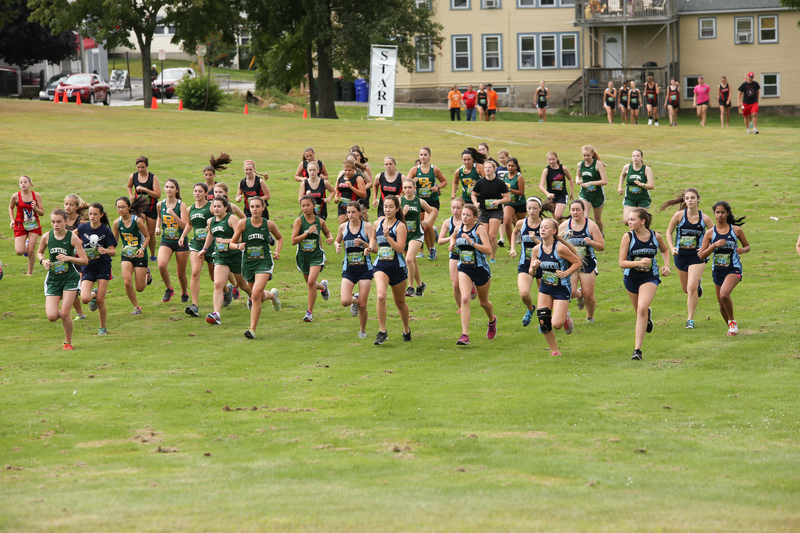 This day the racers were running on the 2+ mile “freshman” course in a format similar to the Londonderry Jamboree, from what this race evolved from, with an A and B race for each gender. Teams can put any number of runners in either of the races, based on what the coach feels is best this early in the season. Ten teams from Divisions 1 and 3 took advantage of the early season racing and a quick run around the host course to the Division meets. And while the meet is not scored, the Bishop Guertin girls looked solid up front, with their top five in the top eight, led by Heidi Ntengeri. Their 6-7-8 runners were less than 22 seconds back. Londonderry looked to be the best of the rest with Central having a solid showing as well. The race was won by Emily Harris of Central. In the Boys A race, Cam Daly of Inter-Lakes won in nice fashion over Abram Gagnon while the Londonderry boys had their top five in the top twenty-five in the A race. Daly’s teammate, Trevor Colby finished up in the standings in 6th, providing the Lakers a real nice one-two punch up front in Division 3. Another solid showing was Mascenic, with their top four in the top twenty five. With second, third and sixth placers in the B race, they will be hoping to make a run at the Division 3 title. Another aspect of the NH-XC Festival is they offer four races for non-high school athletes following the high school race. Additionally, alumni were able to throw it down team wise, to earn their alma mater a set of team uniforms. Josh Grant, formerly of Nashua North won the Men’s race while Amy Bernard, coach for Pinkerton, won for Pinkerton Academy.